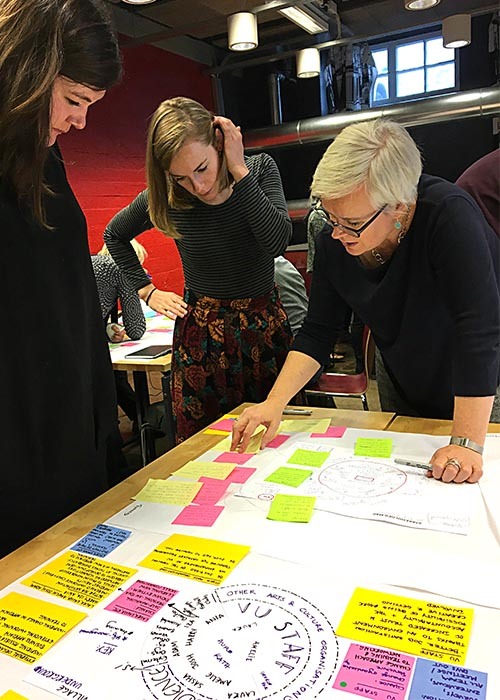 Last month some of the UAL Creative Lenses team travelled to Helsinki (11-12 October) to present at the inaugural SULA conference and to run a research workshop exploring questions of sustainability and conceptions of success amongst people working in arts and cultural organisations. I attended, along with Lucy Kimbell, Sarah Rhodes and Jerneja Rebernak. The event was supported by the Creative Europe programme and several partners including Creative and Inclusive Finland, a hub for projects funded by the European Social Fund programme. 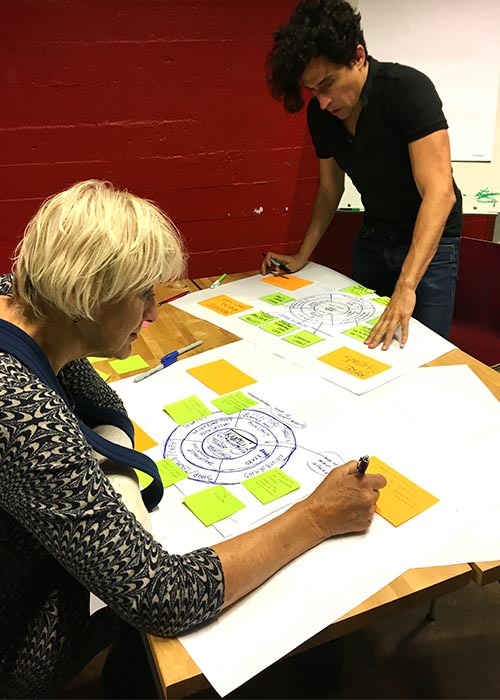 The conference was coordinated by Kaapeli, a Helsinki based cultural organisation, one of the 13 partners involved in the Creative Lenses project. The venue is a vast former cable factory that forms part of a large post-industrial complex located in the port area of the capital. The governance of the space speaks to the political and policy context which give rise to projects such as Creative Lenses which rest on a broader set of assumptions regarding the ability of the cultural sector to contribute to employment, economic growth and the competitiveness of places. Owned by a public body (the City of Helsinki) and formerly home to Nokia, the space is managed by a property management company. The complex is home to 3 museums, several gallery spaces and a dance theatre yet the majority of its space (56,000 square metres) is occupied by a mix of tenants from private businesses to voluntary organisations, creative entrepreneurs and artists. The City of Helsinki’s investment in this space, and others like it across the city, is based on ambition to reposition the region as a hub for creativity and innovation. Caught in the middle of attempts to solve economic problems with the creative industries are arts and cultural organisations and practitioners whose conception of their role in society may not fit the picture painted for them by these policy currents. 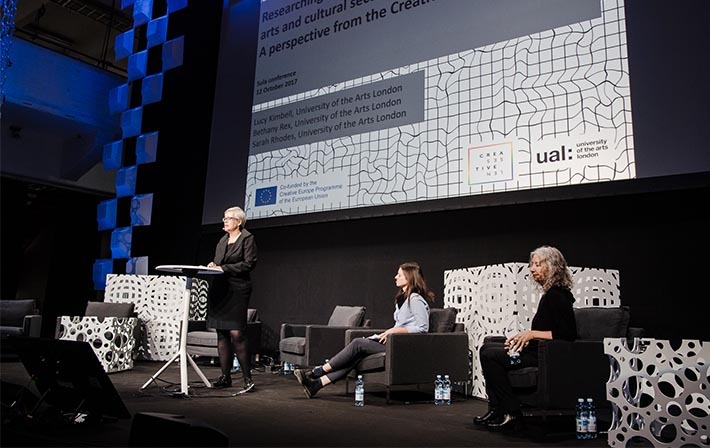 To an extent, we can read documents to gain insights into these policy framings yet conferences such as this one offer another window into the set of expectations being placed on arts and cultural organisations today. Part of the role of a project like Creative Lenses is to consider how the aspirations of policy and its tangible expressions in funding initiatives are received by the practitioners whose needs they are supposedly designed to meet. The conference theme, expressed through its title SULA, which stands for ‘Sustainability and Love for the Arts’, was designed with the creative industries firmly in mind. This meant that the programme featured a diverse mix of what are now known as creative entrepreneurs sharing their career trajectories alongside speakers such as Tim Zeedijk, Exhibition Manager at the Rijksmuseum whose presentation centred on the large-scale redevelopment of the museum, both architecturally and in terms of how its collection is organised and Birgitta Persson whom talked about resilience and sustainability within the arts sector. In this sense, the programme and venue for the conference can be seen as a tangible representation of a broad political and discursive move towards housing the creative industries and the publicly-funded cultural realm under the same roof. Lucy’s talk acted as an introduction to the broad economic, political, technological and cultural contexts which have given rise to a project such as Creative Lenses, and which continue to structure the questions posed by the project to date. Sarah’s presentation highlighted the distinction between research about and research with practitioners working in the arts and cultural sector, emphasising the value of action-research projects which aim to give participants the tools to reflect on their decisions and everyday working practices as a form of research based on a commitment to recognising the different spaces and sources from which useful knowledge can be produced. And the focus of my presentation was to question the language of harmonious integration attributed to a bright future where ‘creative talents’ ‘sustainable livelihoods’ ‘the global creative economy’ and ‘business innovators’ merge seamlessly into one. 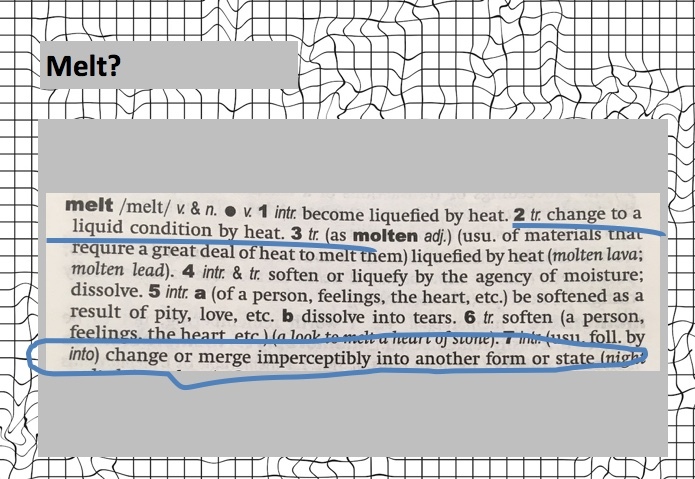 Exploring the definition of melting, a process which involves a change in a material’s state but not its substance, leads us to a question which is at the heart of the research: as the financial sustainability of arts and cultural organisations and practitioners is increasingly reliant on the further commercialisation of this activity, in what way might this diminish their ability to sustain other characteristics and values which are so central to their societal role? The contributions to the workshop and other material we are gathering at present will inform our response to this question. Details of how you can tell us about the changes you are making to your organisation, and the challenges you are facing in doing so, can be found on the Creative Lenses Survey Page.